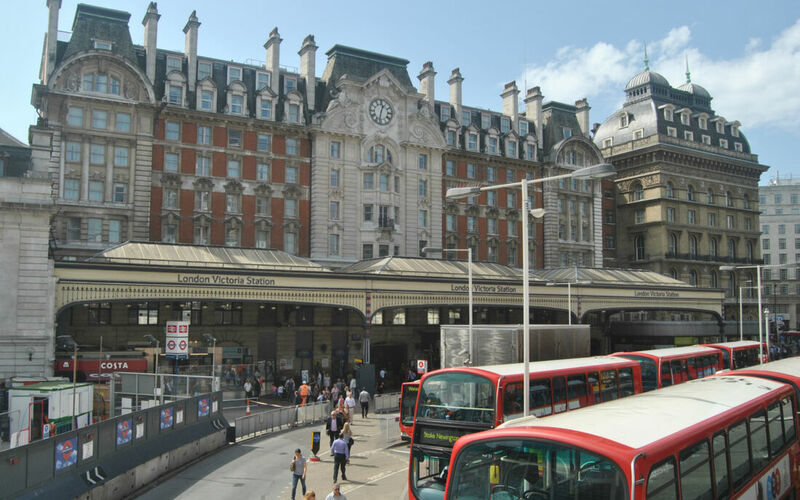 A multi-disciplinary operation supporting the redevelopment project at this busy London commuter station. Victoria Station is a major interchange for rail, underground and bus transport. 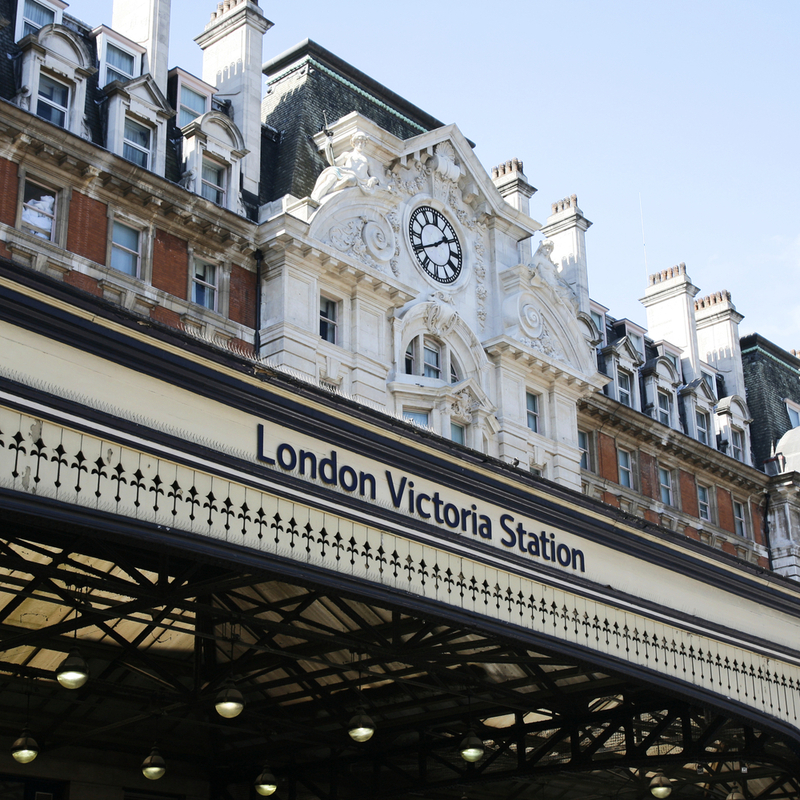 It is estimated that 91m passengers enter, exit or interchange at Victoria Underground Station every year. As part of its £500m upgrade to provide increasing station capacity, shorter journey times and improved accessibility for those with restricted mobility, Mott MacDonald commissioned Plowman Craven to assist in all three phases of the project. Plowman Craven successfully completed required phases in line within the delivery timetable and costs all. 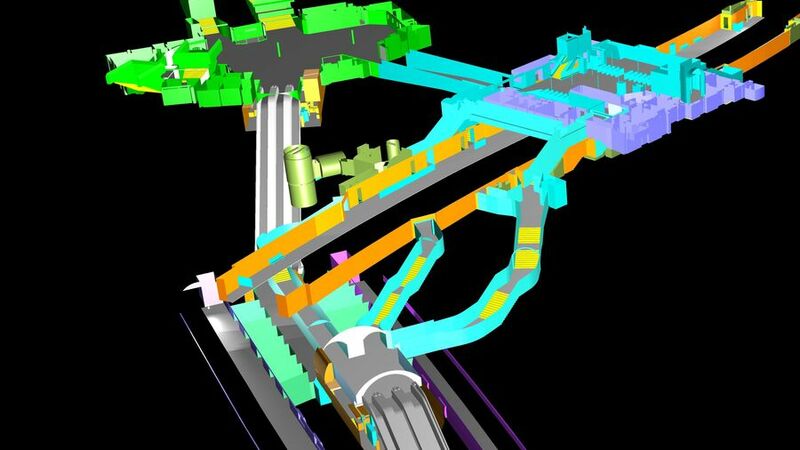 The 3D models and the additional information generated meant that the project had a ‘central repository’ of information that could be referred to at any point in the project cycle, plus it enhanced other aspects of the Victoria Station upgrade. A survey was undertaken using both traditional survey techniques and 3D laser scanning utilising HDS (high definition) high-speed close range scanning equipment. A surface model was then constructed in AutoCAD and rendered in MicroStation. A topographic survey was required to encompass the area directly above and around Victoria Underground station at street level. Elevations also included Victoria mainline station, the bus terminus directly outside the station and the main streets surrounding this area including the Apollo Theatre and Victoria Palace theatre. 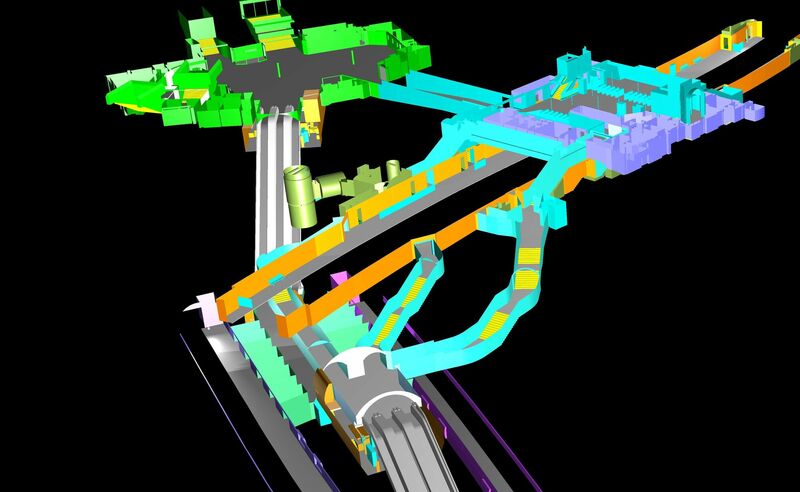 The topographical survey, also delivered in 3D, allowed the client to visualise the available clearances between the top of the underground station and the surface. This was vitally important as the amount of space they had to work in was severely limited. A correlation survey assisted in showing the relation of the underground station to the surface features. Basic wireframe elevations were photo draped - a digital picture was stretched to accurately fit the model. This formed part of an effective visualisation exercise so members of the public could see the proposed changes to the area. 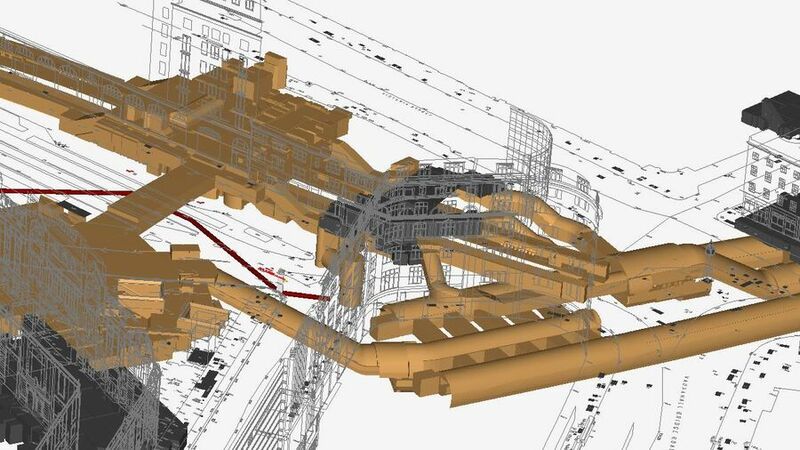 Plowman Craven was commissioned to undertake surveys of all basements within Terminus Place and Bressenden Place locations in relation to the construction of the Victoria LUL ticket hall, with further topographical works undertaken to provide additional detailing to engineers. A measured building survey of Abford House, Wilton Road focusing particularly on the basement and sub-basement was undertaken. The location and extent of the basement were of high importance due to proposed underground works. Following demolition, Plowman Craven also undertook movement monitoring surveys of the surrounding pavements and the exposed Apollo Theatre partition wall.